Good Morning and welcome to another new day! Today in an all new author Q&A Session, we have Christina Banach, the YA writer, whose debut book, Minty, is already being chosen as the Scottish Book Trust Teen’s Book of the Month for December 2014, few months within it's release! So let's talk with this amazing author to know more behind the secret of Minty and other books and beyond! Me: Hello and welcome to my blog, Christina. Congratulations on your debut novel, Minty. Can you please tell us about the story behind the book, Minty? Christina: Thank you for having me. 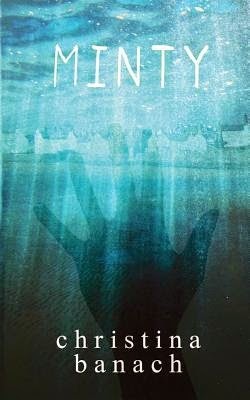 My book, Minty, is set in Scotland’s Kingdom of Fife and is a contemporary ghost story, told from the point of view of the ghost. It’s a cross between The Lovely Bones (without the grim murder!) and Ghost and is a real weepy, although it has heart and warmth at its core. It tells the story of fourteen-year-old twins Minty and Jess who, although they sometimes bicker, are completely inseparable. Then a day trip to the coast puts their bond in jeopardy. As Minty tries to rescue her dog from drowning she ends up fighting for her life, a fight that results in drastic consequences for both sisters. Me: What was your source of inspiration to craft such an intriguing tale like Minty? Christina: Thanks for your kind words. The idea for the book appeared early one summer morning, just as the sun came up. During the night I thought I sensed my late father's presence, after which, unable to get back to sleep, I sat in the sun-room contemplating what had actually happened. Whilst doing this I heard my dog panting and put out my hand to stroke her. Until it struck me– how could it be my pet? She had died the month before. That's when Minty came to me: the story of a teenaged girl to whom the unimaginable happens. A tale that deals with universal themes such as love, family, grief, hope and redemption, but that also attempts to answer one of the big questions in life, namely, what happens to us after we die? Since my teens I’ve been fascinated by ancient cultures and, somehow, this interest filtered through when I was crafting the story (the twins are obsessed with the Romans). However, I think it’s fair to say that my biggest inspiration for writing this book was my first hand experience of bereavement.This then led me to study the various stages of the grieving process, in preparation for exploring the dynamic within Minty’s family. As the main characters, Minty and Jess, are twins I also investigated the bonds that identical twins may experience - including extra sensory perception(ESP), something that has intrigued me for many years. In addition, one of the talents I gave the girls is the ability to play the saxophone. Maybe this is because I love the sound of this instrument but it might also be the fact that a lovely friend of ours, now departed, used to play it. Me: Why did you choose to write a tale for the YA genre readers? Christina: I suppose Minty’s story couldn’t be anything other than a YA tale, given that it’s a novel about a teenager told from a teenage perspective. However, from the amazing feedback I’ve been getting (I’ve received emails from readers aged nine to seventy plus), it appears to have struck a chord with adults too. Love and loss are such a part of the human condition so maybe that’s why all ages can relate to Minty and her family’s dilemma. Me: Tell us one trait of Minty, your protagonist, that intrigues you the most and what do you think your young readers will draw/learn from Minty after the end of the book? Christina: What intrigues me the most about Minty is her inner strength. Although she is a teenager and has lived a fairly cosseted life, she manages to deal with the unthinkable with great resilience. Her primary concern is to help her twin come to terms with her death and she does this with determination, humor and, love, even when she feels despairing at times. As for what my readers will draw from the book, I guess each might take away something different. While saying that, with luck, some will be left with a lingering sense that life can be full of hope and possibilities, and it might even make them think about carpe diem –the importance of seizing the day and making the most of life, whatever knocks may come your way. Me: How will you describe your journey so far as an author? And was it always your one true dream to be a writer? Christina: Being an author is a childhood dream come true. However, I came to writing late in life. As a child I used to make up stories, etc. My teachers told my parents that I had talent – that I’d be the next Enid Blyton (the JK Rowling of her time). Nevertheless, although I secretly hoped that this would come true one day, I didn’t believe in myself. So, instead of pursuing a writing career when I grew up, I became a teacher, and eventually a head teacher. The thing is, whilst I really enjoyed working with young people, I always felt there was something missing in my life. It took a bout of ill health, and time off work, before I realized what that was – writing. So I picked up my pen and paper, switched on the laptop and began drafting my first story in years. From that moment on, I was hooked. However, finding time to write was very difficult so, in January 2006, I decided to resign my head teacher’s post to become a full-time writer. It took me until June 2013 to get an agent and a publishing deal. In the years in between I wrote several novels, read widely and studied the writer’s craft. So, as you can see, my journey, to date, has been a long, convoluted one. Although it has been full of ups and downs since I began writing again(I received my fair share of rejection) it has also been exciting. The past two years have been especially exhilarating, culminating in the thrill of Minty being chosen as the Scottish Book Trust Teen’s Book of the Month for December 2014. That was beyond my wildest expectations, and such an honor. Me: Did you learn anything new from your writing experience so far? Christina: Yes, I have, and it’s this: that there’s always more to learn about how to write a satisfying read, that each draft of every book I write helps me hone my craft. There’s always more to learn! Me: What's your normal writing day like? Christina: My usual routine is to rise early in the morning, spend some time on social media (mostly Twitter)and then it’s out of bed, shower, tea and a quick breakfast, and on with the business of writing. That could be drafting the book itself or, if I’m planning a new project, researching the various elements of the story. Mostly, this is done at my desk, in my office (a converted upstairs bedroom), typing straight into my computer. Sometimes, however, if I'm working on a first draft, I park myself in a comfy armchair in the sitting room. For a change of scene, I occasionally work in a coffee shop or cafe. I rarely right longhand, but I always have a large journal by my side (I go through several per book) into which I write copious notes, which helps with the self-editing process. I usually start work by eight at the latest and press on until lunch, although I have been known to forget it’s lunchtime, especially if the work is going well. After a quick snack it’s on with more writing until it’s time to take my dogs for their afternoon walk. Once they – and I – have been exercised it’s back to the manuscript until my husband arrives home from work. After dinner I might surf the Net a little (lot!) or press on with the manuscript, depending on what stage I’m at in the writing process. I aim to take at least a day off per week but rarely manage it. Me: How do you get away from the stress of writing? And please tell us about your other passion apart from writing? 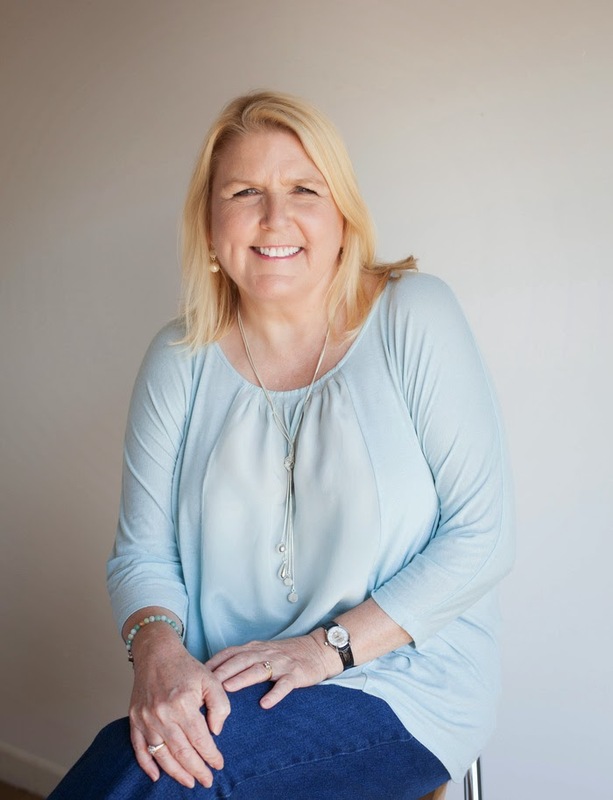 Christina: Even though I love writing, the truth is that it does present its challenges from time-to-time, for example when the words won’t flow as smoothly as I would wish, or when my brain refuses to function. On those occasions I tend to take my dogs for a walk, or even do something domesticated like cook dinner or iron the laundry. Sometimes my brain just needs thinking space and no amount of nailing myself to my desk will produce the writing goods. Spending time with my husband and our pets, and our family and friends really helps, too. My other passion is reading – it’s more of an obsession, really. I can never fall asleep unless I’ve devoured a good few chapters of a book, however tired I am. Christina: My current project is another contemporary YA novel for Three Hares Publishing, who published Minty. It’s a ghost story/psychological thriller set in the legendary village of Glencoe, in the Scottish Highlands. I’ve also half-written the first draft of another YA book which I’ll work on after that. Me: Thank you once again for sparing time to have this interview for my blog. I can only wish you luck in all your future endeavors. Wish you a Very Happy New Year. Christina: It has been a pleasure, Aditi. Thank you for asking me such great questions, and for reading and reviewing Minty. I wish you, and your readers, all the very best for 2015. Christina Banach is a former head teacher who lives in Scotland with her husband and their two rescue dogs. She loves walking; delicious food and wine; evenings at the theatre; exploring new places; surfing the Net; listening to music; and anything that makes her laugh. Plus she has a bit of a thing about shoes and handbags. She is mad on reading, and is especially keen on young adult and children's fiction (all those years buying for school libraries!). Minty, a YA/Crossover novel, is Christina's debut. It was selected as the Scottish Book Trust Teen's Book of the Month for December 2014. She is currently working on her next book, a contemporary ghost story/psychological thriller set in the legendary village of Glencoe, in the Scottish Highlands. Bye Bye Winter, Say Hi to Random Monsoon! It's Time to Make a New Year Resolution List!